Let's resolve your legal issues. Hire a lawyer with the experience to help and the knowledge to understand. Whether you need a criminal lawyer, a family lawyer or a conveyancing expert our team of Sydney solicitors are here to help. Our principal solicitor, Christine Manolakos, is a woman with over 20 years of experience in the fields of family, property, criminal and construction law. Christine and her legal team bring both knowledge of the NSW legal landscape and an understanding of Sydney’s legal firms and courts to every case — from divorce mediation proceedings to court appearances. We’re a small firm, so you can be confident you have dedicated professionals who are always available to answer your questions. But size doesn’t limit us. With years of experience in large and small firms, our solicitors know how the big guys operate. So we always come prepared with a game plan and a strategy. Securing title over your family residence, investment property or business requires determination and an attentive lawyer to assist with the transaction. At CM Lawyers, our aim is to always protect your interests. We have years of experience with assisting first home buyers and commercial buyers/sellers and lessors/lessees, across Sydney, and are well equipped to to investigate a developer's reputation, caveats, conditions and all other factors that may impact upon your property purchasing or selling decision. As a specialist conveyancer, we apply our extensive property law experience to ensure a smooth conveyancing process from beginning to end. At CM Lawyers we understand that making a will can be a fearful process. At our firm we endeavour to provide you with the advice and the information that will make the process much easier and more pleasant. We also provide a notarial service for clients in Sydney. In New South Wales, a public notary (otherwise known as a notary or notary public) is a public officer who is appointed for life by the New South Wales Supreme Court. They are given statutory powers to witness documents, administer oaths and perform a range of other administrative functions, both of a national and international nature. CM Lawyers is dedicated to the efficient clearance of your police-related/ criminal law matters. As an advocate of law, CM Lawyers will apply our extensive legal experience to defend your rights within the area of criminal law. We are committed to resolving your legal issues in a professional and time effective manner. We can assist you with Legal Aid matters on the basis that you have been approved by the Legal Aid NSW for a grant of Legal Aid Assistance. You can do this by completing an Application and nominating CM Lawyers as your preferred legal representative. There are no two ways about it. No matter who you are and what your circumstances, separation is both difficult and disruptive. That’s why our legal team always works to prioritise settlement over argument. We’ll help you avoid court while you focus with moving on. Our experienced legal team comes to you with a different approach to Sydney’s bigger law firms. Intimate, personalised and involved—the CM Lawyers family law team is a supportive force during trying times. You’ll never receive blanket service. Instead, we provide dedicated case workers and tailored advice about your legal rights, entitlements and obligations. The lines of communication are always open. So you’re always kept in the loop. Building and Construction law is one of CM Lawyers’ primary specialties, with a team of Sydney-based solicitors and engineers who are experienced and well-versed in construction law and contract administration to confidently advise on construction and engineering contracts, as well as dealing with major infrastructure, construction and engineering disputes. Our building and construction team at CM Lawyers understands the complex legal and technical issues that can affect the success of a construction project, and are dedicated to making the process as smooth as possible for all parties involved. Appointments available on Saturday on request. We’re a Sydney law firm located in Marrickville - the heart of the inner-west. A general legal practice, we cover a large spectrum of legal sectors including family law, criminal law, construction law, property law, probates and wills and estates. We’re also a specialist conveyancing team. So you can get help with buying or selling your property, company title and off the plan purchases. With over 20 years’ of business under the CM Lawyers name, our team has the experience to give you quality legal advice and representation. And because we're a smaller firm, you always know exactly who is handling your case and how to contact them in times of need. If you need fast criminal defence, a divorce solicitor who'll always work in your best interests, or a construction law specialist you can continually rely on, speak to us today. Experienced legal professionals you can trust. Christine gives all her clients a dynamic and feminine perspective on the family law and criminal law landscape in Australia. 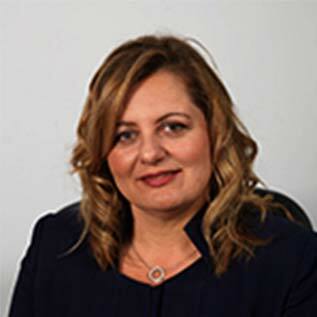 Of Greek background, Christine has excelled herself in legal practice to single-handedly build a thriving suburban firm with a diverse client base. In this time, Christine has built strong links with the Marrickville community through her participation in worthwhile organisations such as Rotary International. Christine obtained her qualifications of Bachelor of Laws and Bachelor of Economics at Macquarie University, Sydney. She has been licensed since 1993, opened her own firm in 1996, and has appeared on behalf of hundreds of clients. Alex is our Certified Practicing Conveyancer; bringing a dedicated property focus to the legal services offered by CM Lawyers. Alex has a Masters degree in Finance and Accounting from UTS and substantial experience in major financial institutions including Perpetual, Coopers & Lybrand (which has since merged successfully to form Pricewaterhousecoopers), and Hambros Investment Bank. 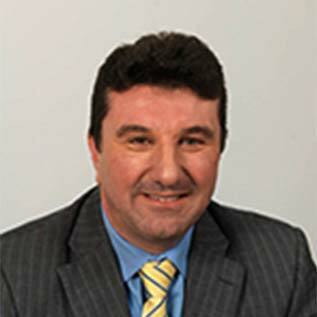 Alex therefore has impressive insight and knowledge of the property market and can tailor client-specific strategies. Alex and Al were great throughout the process, even despite extension from the vendor. For two first home buyers, they took the time to explain and make sure we understood each step of the way. Thanks guys. We will be back.